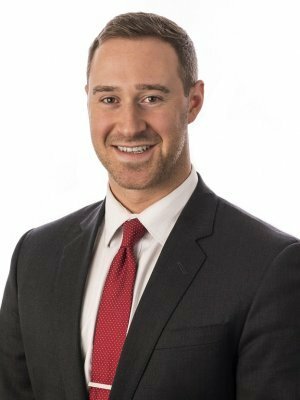 Alex Topolnitsky* | Aurora Financial Solutions Inc.
As a proud member of the Aurora Financial Solutions team, Alex’s focus is on making clients feel comfortable with the financial planning process while helping clients with the confidence of a sound financial plan. By taking a look at the whole picture he can help clients establish a plan that aims to ensure they reach their goals. Achieving both his Certified Financial Planner (CFP®) and Elder Planning Counsellor (EPC) designations, Alex specializes in working with business owners looking to minimize the taxes they pay and maximize the tax-efficient profits being withdrawn from the corporation; individuals close to/entering retirement who would like to minimize taxes throughout retirement and at death; and young families who would like to make sure they can retire with confidence. He is knowledgeable, approachable, enthusiastic and driven. Most importantly, Alex's client base has been built on referrals from clients which shows clients trust Alex and trust that he will look after them throughout their life. Alex has a Bachelor of Commerce in Finance. He moved from Calgary to Saskatoon to play Huskies Men Soccer at the University of Saskatchewan.